After traveling for a nearly six weeks in Europe, I’ve really come to realize how small the entire continent is in comparison to the United States. If we had a second California annexed to the side of our country, we would cover more square miles than all of Europe. With that scale in mind, when I travel from country to country, it feels like I’m just traveling state to state. Which is really not that daunting. 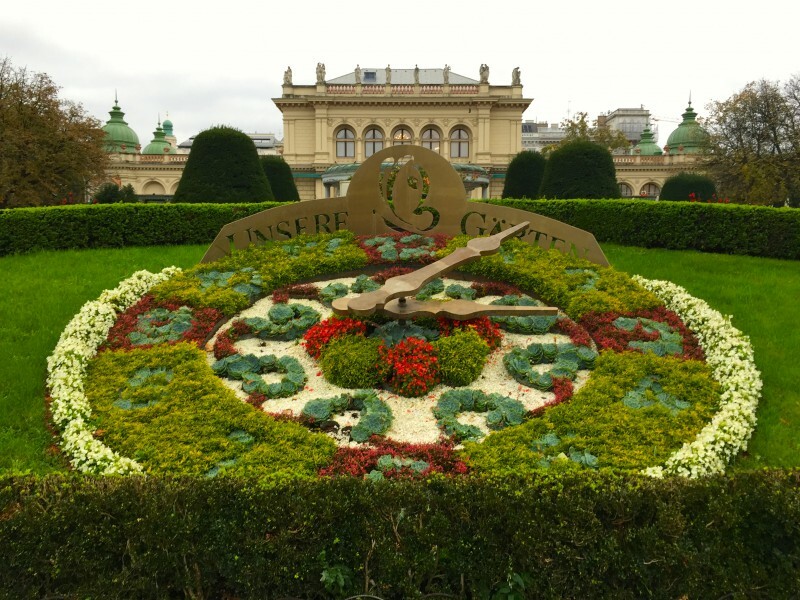 I spent the day in Budapest, hopped on a bus, and was in Vienna within a few hours. I was too eager to meet my relatives in person, after months of emailing back and forth, and I accidentally got off at the wrong stop. I was standing in the Vienna Airport, only to find I was still 30min away and needed to get on the next bi-hourly train – departing in 5 minutes. Horrified, I looked up and saw an information booth across the airport terminal. I found out where I needed to be and proceeded to sprint across the terminal to the underground train station. I blindly stared at the foreign ticket booth on the train platform and without even attempting to translate, I turned to the now freaked out woman next to me, and in a panic asked if she spoke any English. She grabbed her daughter and threw her between us to translate. I looked at my phone and told her where I needed to be and that I now had one minute to be on a train waiting next to us. She grabbed my credit card, purchased my train ticket, and quite literally pushed me on my way. I bolted for the train and my luggage handle snapped off. A man onboard quickly ran and grabbed my luggage and threw it on the train with us just moments before the door snapped shut and I was on my way. Needless to say, great first impressions were made with my extremely patient cousins* who waited for me to arrive. We laughed it off over a much needed dinner and then I went back to my hostel to relax for the rest of the evening. The next day, I was up bright and early to go sight-seeing with my cousins. Something I truly admire about Europeans is their passion for their heritage and it’s rich history. I was lucky enough to have two extremely knowledgable tour guides explaining every elaborate detail of Vienna. 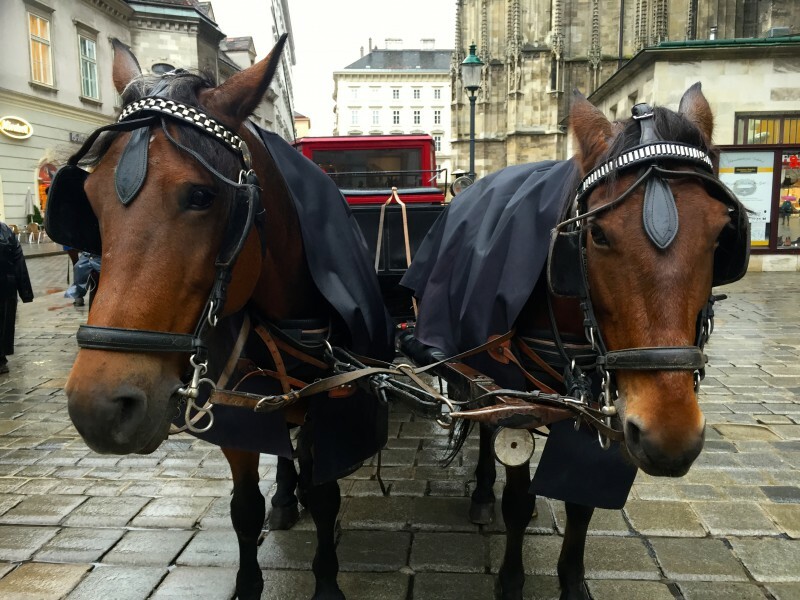 We started in the Maria-Theresien-Platz, situated between the Naturhistorisches (Natural History) Museum and the identical Kunsthistorisches Museum. We then crossed the Burgring to the Hofburg Imperial Palace before strolling down Kärntner Straße (Famous shopping street) to St. Stephen’s Cathedral. 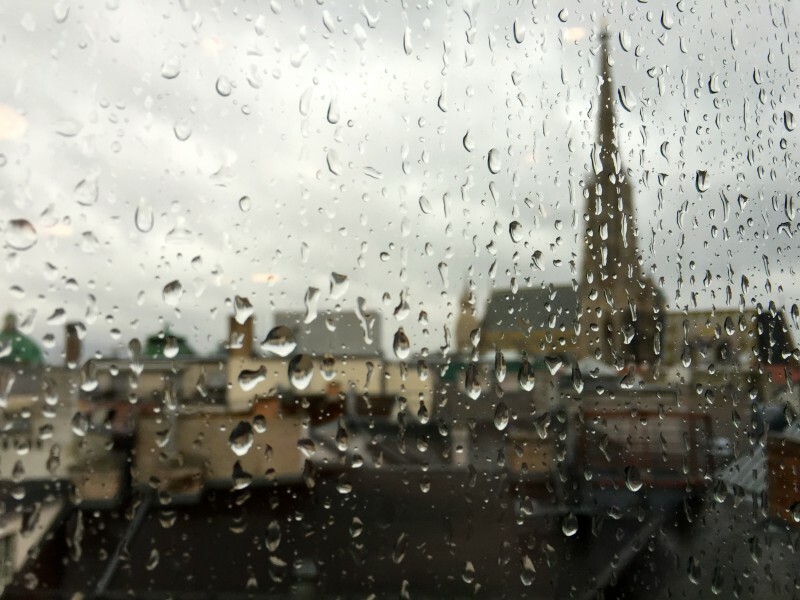 At this point it began pouring rain, so we dined at Café Diglas for some hot soup and warm shelter. 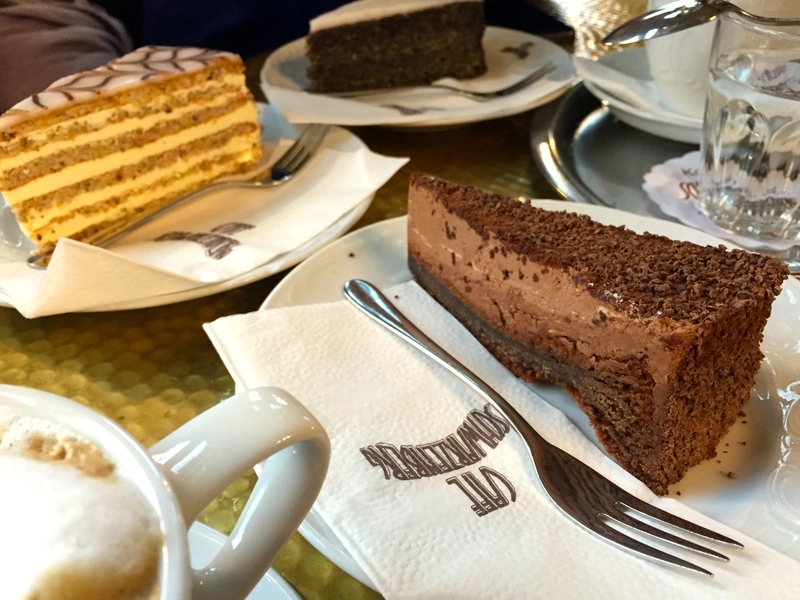 Afterward, we continued onward through Stadtpark to the infamous, Café Schwarzenberg for some traditional Viennese coffee and pastries before heading back home. The next day, we watched the Morning Exercises of the impeccable White Lipizzan Stallions at the Spanische Hofreitschule in the Imperial Palace. After a bougie morning, we strolled out into the Palace courtyard to where the Bundesheer (Austrian Army) was setting up for Nationalfeiertag. As intimidating as they all look, they were all very kind and bashful. I actually had to pull them inward for a photo just to break the ice, since they were so reserved. We then went to the Naschmarkt, a large outdoor marketplace with tons of fresh food and little restaurants tucked in between. We stopped for lunch before heading to Schönbrunn Palace, we walk through the gardens and up the hill to a beautiful panoramic view of Vienna. We rode the Ringstrabe around the city and then back to my cousin’s apartment for an absurdly delicious homemade dinner and cocktails. 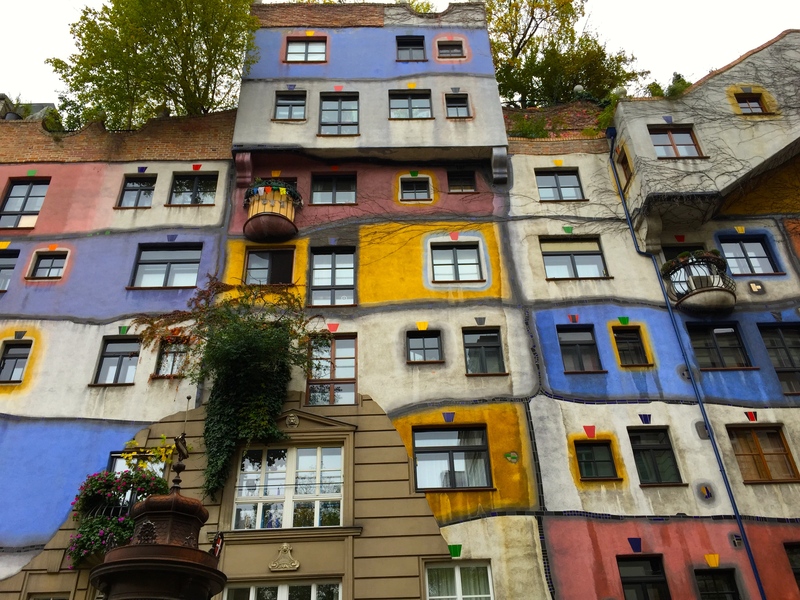 It had been a dream of mine to see the Hundertwasserhaus designed by the Austrian architect, Friedensreich Hundertwasser. So we trekked across town and eventually found the crazy house. It didn’t even seem real, it looked like something from a movie set. Bright colors, crazy misshapen structures, all stacked like nothing I’ve ever seen. We then went to Augustiner-Keller Bitzinger, where we met my aunt and uncle* for lunch. I splurged on a plate of authentic Goulash and a side of Ratatouille. 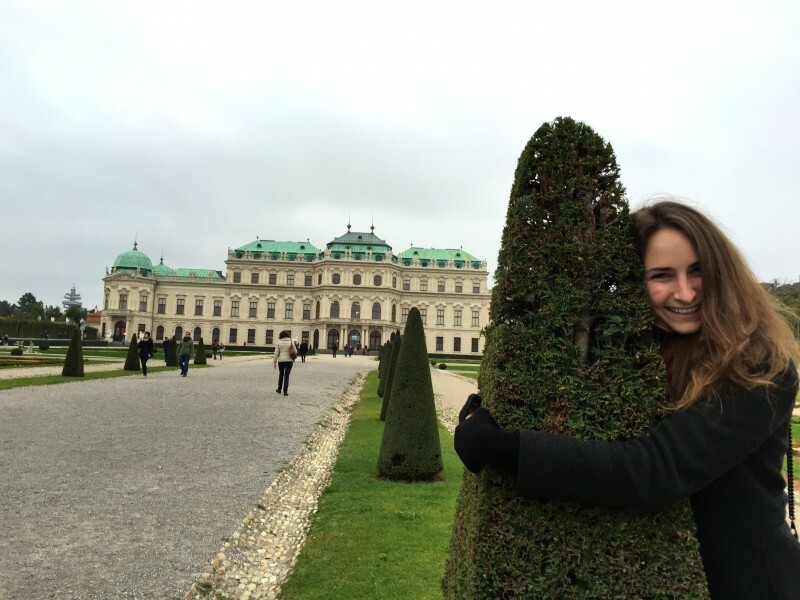 We then bundled back up for the cold and made our way to the Belvedere Palace to see Klimt’s work. So The Kiss was nice, but there were way too many people pushing to get a glimpse at the painting hidden behind a glass barrier, armed with security on each side. I felt as if I was being shoved to watch something on TV. I’d rather be able to get up close and personal with a piece and truly give it the time of day, but, it was still beautiful nonetheless. After the Belvedere Palace, we drove to the outskirts of the city to stop by what was my Great Grandmother’s apartment. Though she passed years ago, it was really neat to see where some of my family used to live. We continued onward up the hillside to the beautiful restaurant, Ganslessen, nestled between wineries with another panoramic view of the city. We started with sparkling wine and chardonnay before ordering a massive, mouthwatering, feast of traditional Austrian dishes. Needless to say, we enjoyed every last bite. We finished off our meal with a shot of espresso, and we were on our way. We all headed back to my cousin’s apartment to Skype with the rest of my family back home. We set up multiple screens and gathered as many family members together as possible. It was beautiful watching my grandmother speak German with my Austrian relatives, everyone was so happy to finally meet each other. We laughed and shared numerous stories that I had never heard before. It was really an unforgettable experience. The next morning we all met at Blau Stern for breakfast. 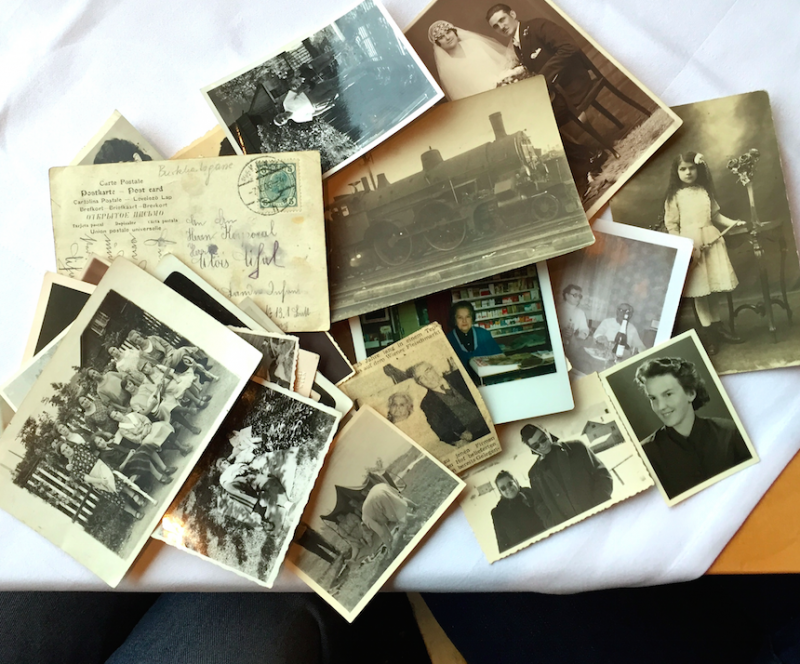 My uncle then brought out an envelope of photos and postcards, each tied with a story of my family heritage. We sat there for hours sharing even more stories and more laughs. We then went to the unsettlingly creepy amusement park, Prater. I know it’s not supposed to be creepy… but it really was. After a long week of being an excessively busy tourist, I opted for a quiet last night in with fuzzy socks and an elaborate turkish dinner delivered to my doorstep. 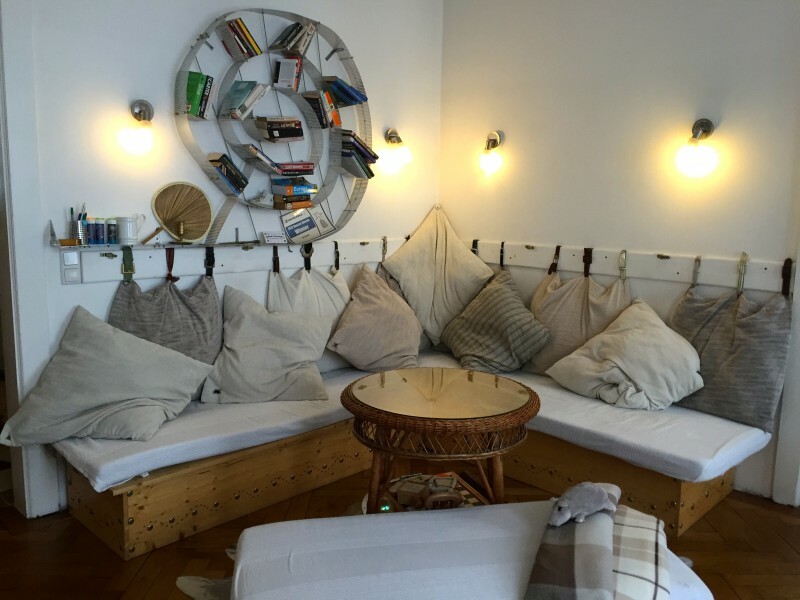 The following morning, I packed up and checked out of my beautiful hostel – which by the way, I didn’t even mention yet – I stayed in the greatest hostel, ever, in Vienna. It was an old apartment from the 1800’s converted into a modern, minimalist, and precious hostel, all maintained by the sweetest host I have ever met. I highly recommend staying here, it accommodates all ages and really was the perfect home. I met up with my cousin and together we went to meet my great aunt at Café Griensteidl. We ordered coffee and pastries, and talked for hours. I showed her pictures of my grandmother and her face lit up, even though they hadn’t seen each other in over thirty years, she still immediately recognized her. We eventually made our way to Plachutta’s Gasthaus Zur Oper where I finally tried my first Schnietzel with a pint of beer. I then sadly said goodbye and I was on my way to the train station for my next overnight train, which thankfully was a much nicer experience than the one from Prague to Budapest.